A repackaged edition of the revered author's moving theological work in which he considers the most poetic portions from Scripture and what they tell us about God, the Bible, and faith. 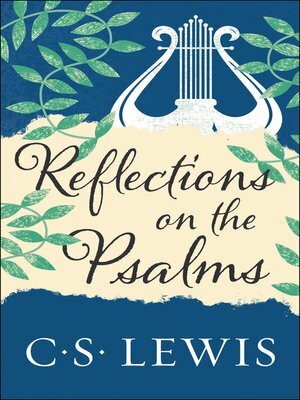 In this wise and enlightening book, C. S. Lewis—the great British writer, scholar, lay theologian, broadcaster, Christian apologist, and bestselling author of Mere Christianity, The Screwtape Letters, The Great Divorce, The Chronicles of Narnia, and many other beloved classics—examines the Psalms. As Lewis divines the meaning behind these timeless poetic verses, he makes clear their significance in our daily lives, and reminds us of their power to illuminate moments of grace.